Mary L. Phillips is the Pittsburgh Foundation- Emmerling Endowed Chair in Psychotic Disorders, and Professor in Psychiatry and Clinical and Translational Science in the University of Pittsburgh. She heads the Clinical and Translational Affective Neuroscience Program in the Department of Psychiatry at the University of Pittsburgh. Dr. Phillips trained in Medicine at Cambridge University, UK, and in Psychiatry at the Maudsley Hospital and the Institute of Psychiatry, King’s College, University of London, UK. Dr. Phillips’ research focuses on using neuroimaging techniques to discover functional and structural abnormalities in brain circuits for emotion processing and regulation and reward processing that are associated with specific psychiatric disorders. 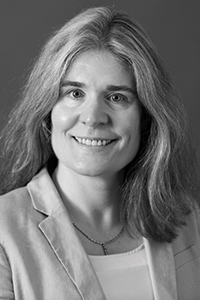 Her research also focuses on identifying the neurodevelopmental trajectories in these circuitries that are associated with the development of such disorders in youth and infants, and the extent to which these neuroimaging techniques can identify biomarkers reflecting underlying processes that may increase the future risk for these disorders in as yet unaffected youth. Her more recent work examines how neuromodulation techniques can be targeted on identified neural biomarkers of mood disorders, as a step toward developing new interventions for individuals with these disorders. In 2017, Dr. Phillips became President Elect of the Society of Biological Psychiatry. She has served on the Membership Committee of the American College of Neuropsychopharmacology, and on Program Committees of both the Society of Biological Psychiatry and the American College of Neuropsychopharmacology, the latter of which awarded her the Joel Elkes Research Prize in 2014. She has mentored over 60 junior investigators, and has authored or co-authored more than 300 publications.